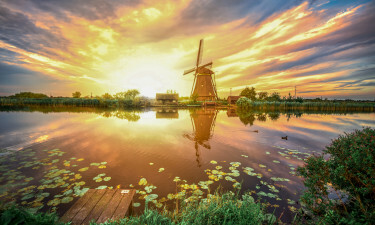 With its windmills, expansive beaches and serene atmosphere, the Dutch Coast is a great introduction to the best that the Netherlands has to offer and is the ideal setting for a luxury camping break abroad. Wassenaar is a charming seaside resort and the unofficial capital of the Dutch Coast. Sandy beaches, dunes, and forested areas create a unique landscape that makes Wassenaar ideal for a relaxing camping holiday. Discover the beauty of the Dutch Coast and book your luxury camping holiday with Lux-Camp. Why should I camp in the Dutch Coast/Wassenaar? Camping Duinrell is conveniently located between Wassennaar and the sandy beaches of the Dutch Coast. Comfortable accommodation is available in two and three-bedroom bungalow tents and in luxury tents equipped with a kitchen, a private veranda, and plenty of space for up to 6 guests. 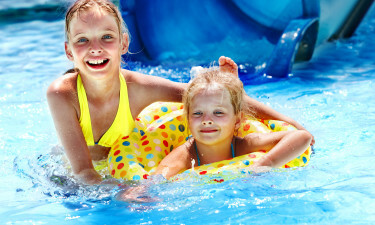 The on-site amusement park is one of the highlights of this campsite, and with its 11 waterslides the swimming pool complex is guaranteed fun for the younger ones. Four restaurants, a pub, and a rooftop lounge complete the entertainment offer at Duirell. Camping de Krim offers first-class accommodation in deluxe family villas, spacious bungalows with their own sauna facilities, wooden cabins, fully equipped mobile homes, and secluded chalets. 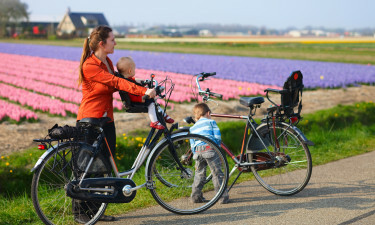 This five-star camping village is ideal for large families and groups looking to spend a break in the sunny Dutch Coast, as de Krim offers accommodation for groups of up to 20 people. Activities include cycling, swimming, golfing, and a wellness centre. Wassenaar beach stretches for over 8 kilometres. Here you can rent a beach cabin for the day or go windsurfing, horseback riding, or swimming. The area is dotted with lush parks and gardens and you will never be too far from a typical tulip field. Wassenaar's seaside restaurants and cafes serve the best international fare in beautiful settings. The town has several upscale bars and lounges that are perfect for an after-dinner drink. Important events include the International Chamber Musice Festival and the Smaakvol Gastronomic Festival.